Flying on a plane is typically safe. 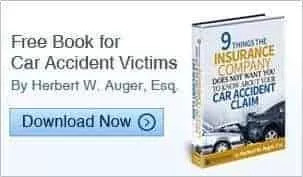 You have undoubtedly heard the statistics: You are far more likely to die in an automobile accident than you are to find yourself the victim of a plane crash. If you are like most people, that statistic doesn’t alleviate your fears. Taking a ride on a plane, no matter how large or small, is something that causes anxiety in the hearts of many. Sometimes, knowing why something is so safe can help to ease your fears. Here are five plane crashes that helped to make flying less dangerous today. You are on a plane and look out of your window. You see another plane off in the distance and thoughts of a midair collision immediately come to mind. More than 50 years ago, United Airlines Flight 718 and TWA Flight 2 collided over the Grand Canyon. The bad news is that hundreds lost their lives; the good news is that the accident was the reason the Federal Aviation Administration was created, and there has not been a midair collision since. United Airlines Flight 173 carrying 181 passengers and circling the airport in Portland had a problem with the landing gear. The plane, despite warnings to the captain by alert crew, ran out of fuel while circling. The loss of fuel resulted in the plane crashing in a suburb of the city, killing 10 people. That plane accident is the reason that the captain is no longer considered the lone voice in the cockpit. The emphasis is not on teamwork and communication among the crew. If you’ve been on a plane anytime in the last few decades, you’ve noticed lights along the aisles on the floor. 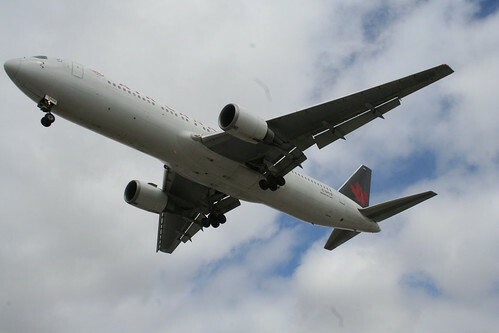 That is because of Air Canada Flight 797. No one knew a fire had started in the bathroom until black smoke filled the plane. Upon landing, the doors were thrown open and a flash fire took over the plane. People died, in part, because they could not see clearly enough to get out. A strong downdraft and wind shear caused Delta Air Lines Flight 191 to make an emergency landing, albeit too rapidly. The plane crossed a highway and stopped when it hit to airport water tanks. Because of this accident, seven years of research and effort began. Today’s planes are now equipped with forward-looking radar wind-shear detectors as standard. There has only been one accident related to the same issues since. The crash over the Grand Canyon took care of making jetliners safer, but failed to consider small, private planes. In 1996, a small plane, undetected by towers, flew into the path of Aeromexico Flight 498. The midair collision sent both planes into a residential neighborhood, causing fatalities and major damage. Since 1996, all private planes are required to be equipped with transponders that electronically beam their position to air traffic control towers. No such accidents have occurred since. Traveling by plane is safe, but accidents do happen. If you or your family have been the victim of an aviation accident, contact the attorneys at Auger & Auger. Our attorneys and engineers are ready to work together to assist you immediately. Call now!